This deluxe sailing tour starts in Vigo, the most important fishing port in Europe, which has a beautiful Ria holding the secrets of sunken treasure and historic battles. Being an important fishing port it is obvious that the area is blessed with an abundance of the freshest fish & seafood, on this trip day trip you will get a chance to savor the fish & seafood with a catered lunch aboard the yacht. Talking about food I can`t forget to mention that this area of Galicia is also a wine region, bearing the same name, Rias Baixas. 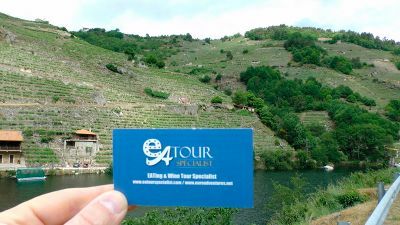 Here can found excellent full-bodied white wines made of the Albariño grape variety. Albariño wines are known as the "Wines From the Sea" because they go so well with fish & seafood. In the Rias Baixas there are many beaches of un-touched beauty, golden soft sand and clean blue water. Today we will navigate around the bay of Vigo and then out to the Cies Islands know as "The Island of the Gods", just recently these islands and few other ones further up the coast, have been declared as a national park called "The Archipelago Atlantic Islands National Park" . Here can be found all types of wild Flora & Fauna, excellent for nature hikes & walks. - Boarding the yacht we sail back across the other side of the bay of Vigo and return to the yachting port.